My last post was about Round Rock, Texas, and the Round Rock Donuts. Moving on we took a little tour of Georgetown, where I found some treasures at one of the local antique shops. 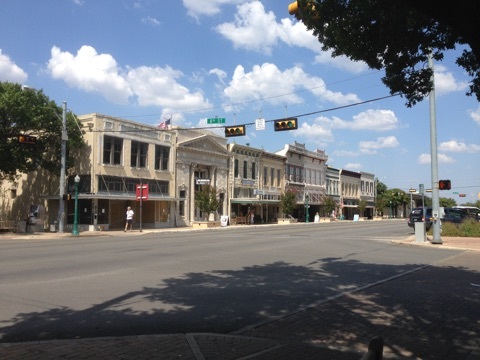 Georgetown is located just north of Austin off of IH-35, and it has the distinction of having been voted the “Most Beautiful Town Square in Texas” in 1997. 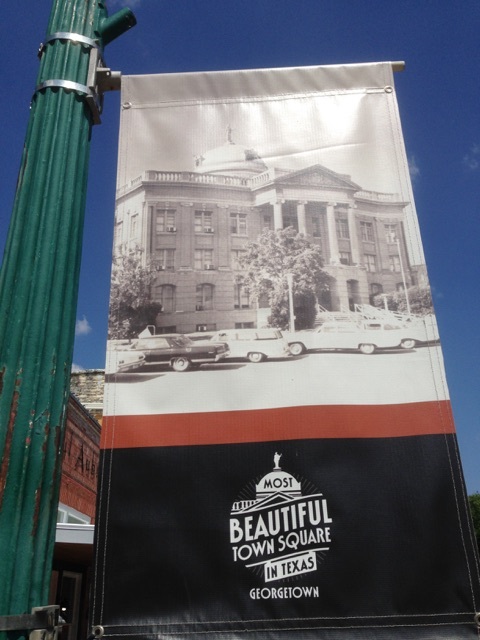 However, they claim that this title in no way indicates that the town is a bunch of squares – on the contrary! 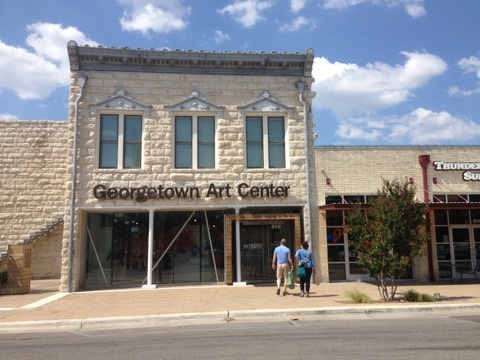 Foodies and shopaholics will love Georgetown! 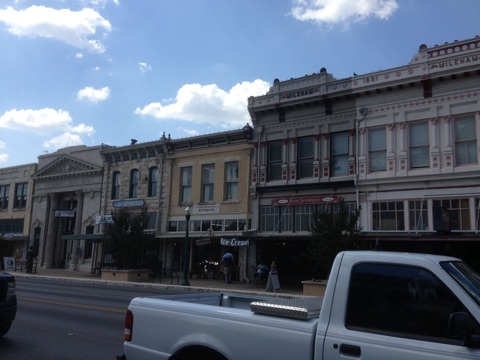 Antique shops and boutiques, with an abundance of places to eat, will fill up your day, your weekend or your week. 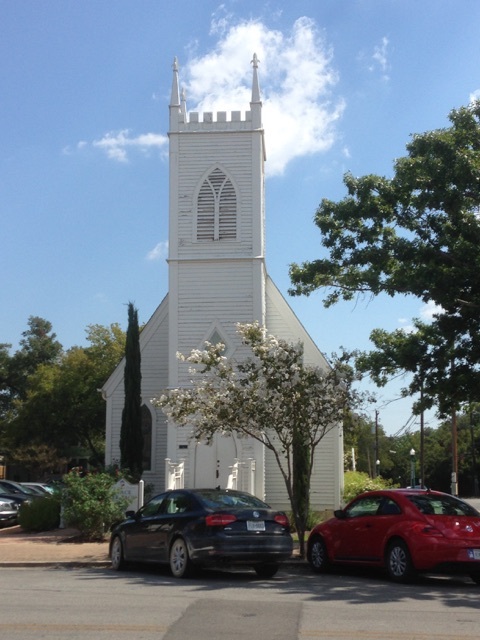 It’s a beautiful town, with Victorian architecture and local watering holes nearby – Lake Georgetown, Blue Hole or San Gabriel River, where fun in and around the water is always waiting. Founded in 1848, by 1880 the town boasted a courthouse, the state’s oldest university and the railroad. Things were good, although in the beginning this frontier town looked quite ordinary with mainly log cabins and shacks. 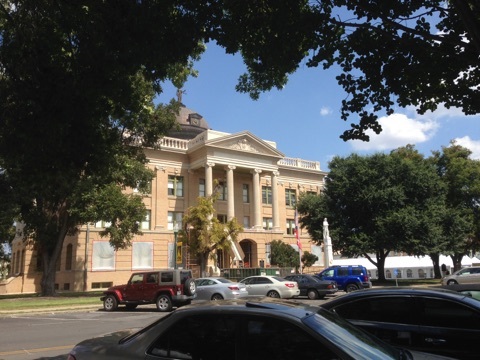 Georgetown’s Historic District is listed on the National Register of Historic Places, and the historic Williamson County Courthouse, a Neoclassical structure, is a focal point that is being restored to its former days of glory. 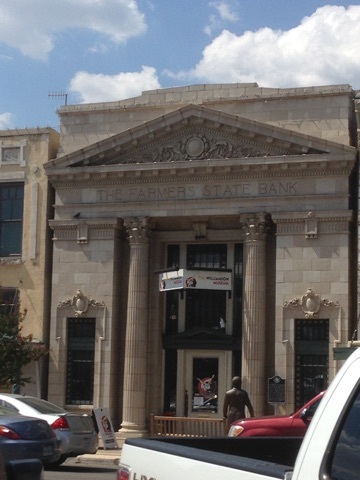 Victorian commercial architecture fills the streets and is now protected by the national register and the Georgetown Heritage Society. 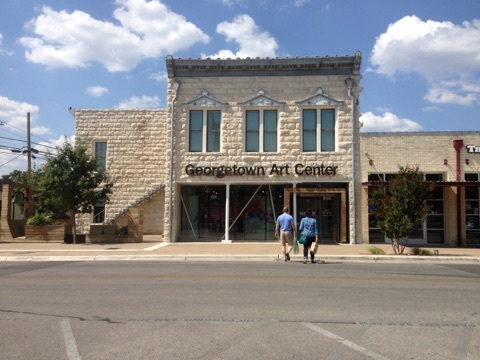 You will find scattered throughout Georgetown many displays of art, especially in downtown square and Southwestern University. 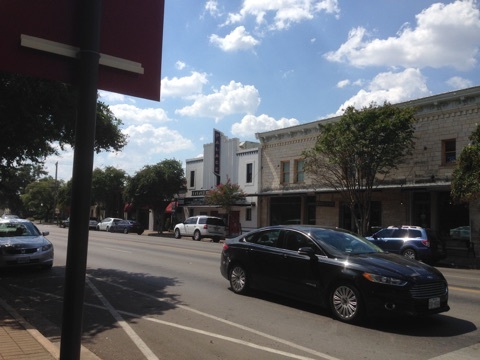 Georgetown has had much success rejuvenating its downtown area due to the city’s participation in the National Main Street Project. 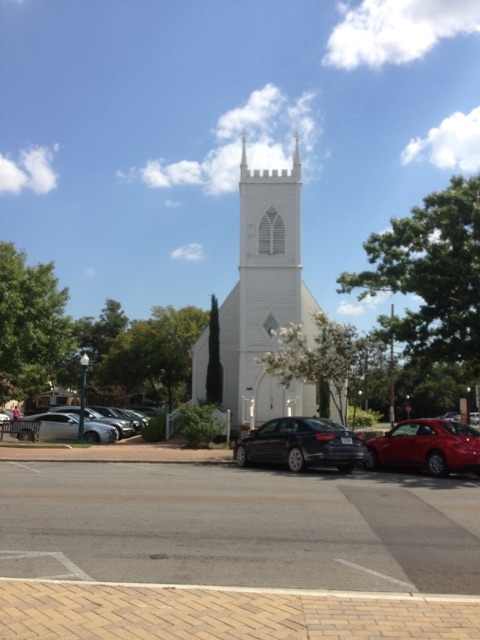 This program is piloted by the National Trust for Historic Preservation, and helps to bring about economic, as well as, architectural vitality in towns across America. 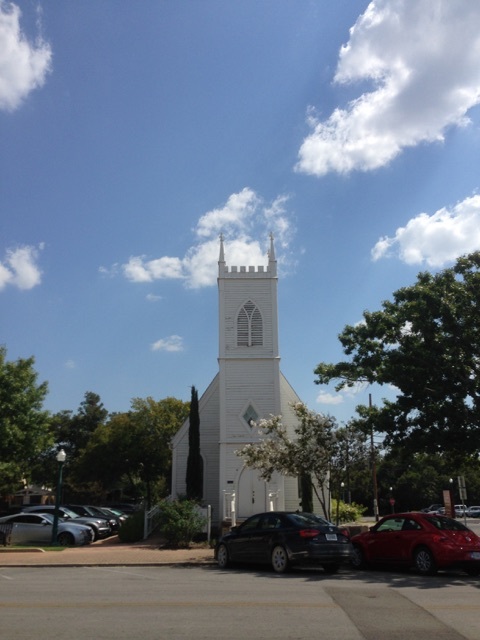 With so much to see, it’s a joy to take the walking tour of Historic Downtown Georgetown. 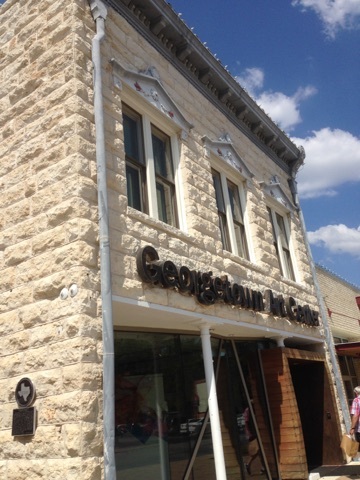 They like to say that Georgetown is the hill country’s most beautiful little secret. And I agree! See you next time, when I venture out to tour and enjoy more of what Texas has to offer. It’s a big state, you know! Adios! 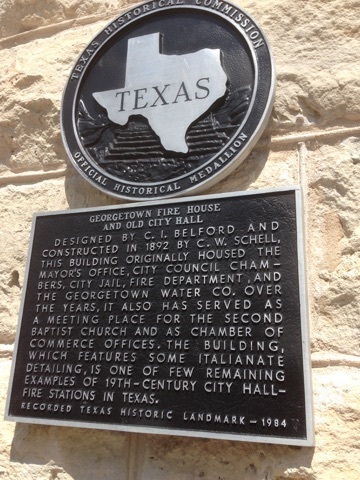 New photos added to our walking tour of historic downtown Georgetown, Texas.